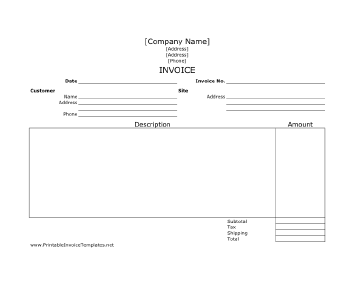 A printable job invoice with plenty of room to describe each billable element of the work. It is designed in landscape orientation and does not have lines. It is available in PDF, DOC, or XLS (spreadsheet) format.